A lot of homes in the States are heated by means of gas furnaces, since they are highly beneficial and economical in comparison to other heating systems. Natural gas will save homeowners hundreds of dollars every year as opposed to oil, being more effective in terms of energy savings. Gas fuel burns cleaner and faster than oil, which means less air pollutants emitted into the air. Gas furnaces consume less fuel which does not influence heat output; in fact it is still high. If your gas furnace system seems too complicated, it probably is, especially when it comes to gas furnace repairs. 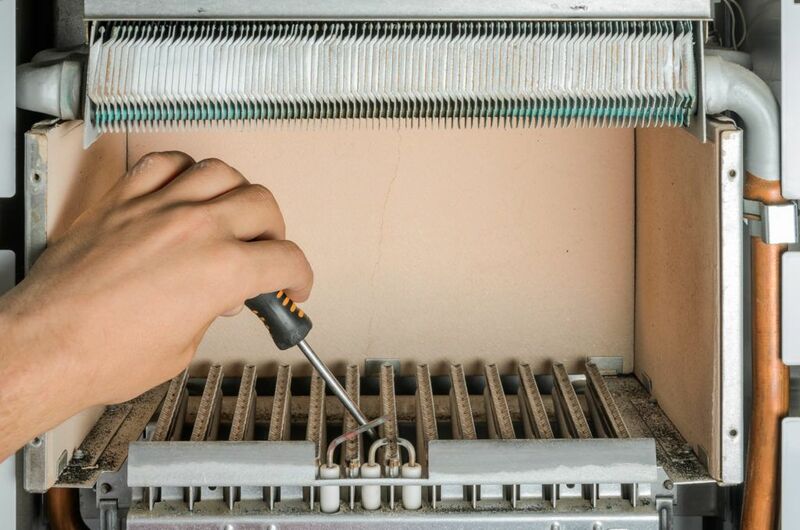 Most of gas furnace repair problems stem from mechanical problems due to lack of maintenance. No matter if there’s an issue with power outage, malfunctioning system parts or problems with the filters, our expert furnace technicians at Downey Plumbing Heating & Air Conditioning can fix almost any furnace problem. They will come at your first call fully equipped and ready to troubleshoot any gas furnace heating repairs. Downey Plumbing Heating & Air Conditioning is fully licensed and insured in furnace installations, maintenance and repairs. We are available 24/7, call us in case of emergency with your gas furnace and we’ll get it back up and running in no time.